She missed out last year, but this will be Ariel’s fourth Sydney Hobart. Ron Forster and Phil Damp were thrilled to finish third overall in 2014 after finishing eighth in Division 3 in 2013, and seventh in Division 3 in 2012. Finished third in Division 3 of the 2014 Gold Coast Race and third in Division 2 of the 2014 CYCA Trophy. 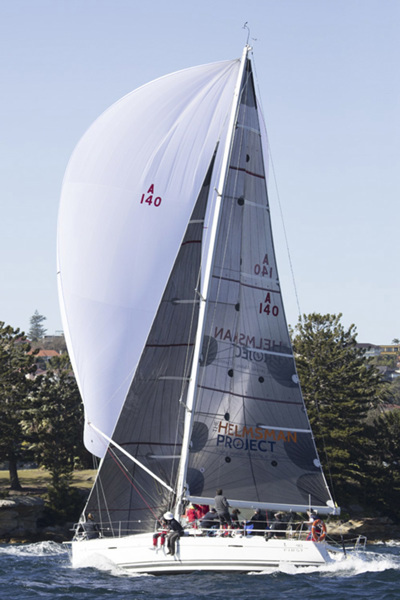 Forster (who sailed his first Hobart 35 years ago) and Damp finished third overall in the Cabbage Tree Island Race in November. A strong Beneteau 40 field includes previous winner and runner-up, Two True and Wicked, along with Bravo and Breakthrough.